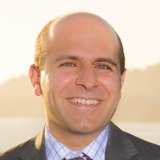 Salman Avestimehr is a Professor and co-director of the Communication Sciences Institute at the Electrical and Computer Engineering Department of University of Southern California, where he leads the Information Theory and Machine Learning (vITAL) research lab. He received his Ph.D. in 2008 and M.S. degree in 2005 in Electrical Engineering and Computer Science, both from the University of California, Berkeley. Prior to that, he obtained his B.S. in Electrical Engineering from Sharif University of Technology in 2003. He was an Assistant Professor at the ECE school of Cornell University from 2009 to 2013. He was also a postdoctoral scholar at the Center for the Mathematics of Information (CMI) at Caltech in 2008. His research interests include information theory, coding theory, large-scale distributed computing and machine learning. Dr. Avestimehr has received a number of awards for his research, including an Information Theory Society and Communication Society Joint Paper Award, a Presidential Early Career Award for Scientists and Engineers (PECASE) from President Obama, a Young Investigator Program (YIP) award from the U. S. Air Force Office of Scientific Research, a National Science Foundation CAREER award, the David J. Sakrison Memorial Prize, and several Best Paper Awards at Conferences. He has been an Associate Editor for IEEE Transactions on Information Theory. He is currently a general Co-Chair of the 2020 International Symposium on Information Theory (ISIT). Current research areas of Prof. Avestimehr include information theory, coding theory, large-scale distributed computing, machine learning, and secure/private computing. Prof. Avestimehr leads the Information Theory and Machine Learning (vITAL) research lab at USC.